For any social movement and for any advocacy cause, it is important to provide a clear explanation, both to the cause’s existing and potential supporters, what the cause precisely calls for, what it plans to achieve and how it plans to achieve it. For the longevity promotion, one of the major general mission statements may be formulated as follows: “Increase support for biomedical research of aging to improve healthy longevity.” But of course, “the devil is in the details.” When it comes to specifying the exact research types and projects that need to be supported, and the ways of support that are required – the issue may become extremely complex and involved. Yet, as a general “primer” or “conversation starter,” this simple mission statement may serve well for an initial goal setting, to advance further negotiations and elaborations. More elaborate calls to thought and to action may be formulated, from very concise manifestos and petitions to extensive monographs and roadmaps. Below are several examples of concise calls that were practically used in aging and longevity research advocacy in the past. Secondly, the open letter to a Nordic gerontological congress is based on a short summary excerpt from the position paper of the International Society on Aging and Disease (ISOAD) entitled “The critical need to promote research of aging and aging-related diseases to improve health and longevity of the elderly population.” The original position paper provides a rather detailed, but still concise overview of the rationales, scientific and technological fields, and policy suggestions that may be needed for the support of aging and longevity research.3 The short open letter that was based on it, recapitulates the main rationales and policy action points. Besides the original English, the open letter was prepared in other Nordic languages – Finnish, Swedish and Danish (that is in addition to the 9 more languages in which the entire position paper is available).4 Though originally directed to the audience in “Nordic” countries, similar texts may be adopted for other “developed” countries with high life-expectancy and quality of life – urging people to maintain and intensify the positive trends and warning against potential adverse affects of unhealthy and unproductive aging of the population. Thirdly, the open outreach letter to officials and policy makers in India in support of aging and longevity research was originally addressed to the Department of Biotechnology of the Indian Ministry of Science and Technology. It was signed by several leading researchers of aging and longevity advocates in India and abroad. 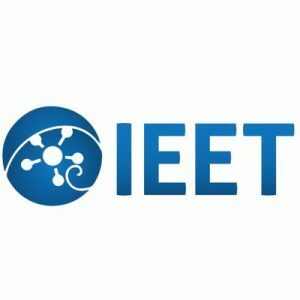 Following the initial outreach, it was published at the Institute for Ethics and Emerging Technologies (IEET).5 Though the letter was originally addressed to the officials and general public in India, similar texts can be adopted for other “developing countries” – encouraging people to address the problems of aging in advance, before they hit hard the still relatively young populations of those countries, advocating to close the research and development gaps with the so-called “developed countries” and strongly urging to contribute to making potential anti-aging and life-extending therapies universally available to all, including people of lesser means everywhere. The forth outreach text is the appeal calling to participate in the “Longevity Day” campaign, in support of biomedical research of aging and longevity. This campaign has been organized, since 2013, around October 1 – the “official” UN International Day of Older Persons, emphasizing the importance of advancing biomedical research to improve healthcare for the elderly.6 Though, usually the events and promotions of this campaign continued through the entire month of October, designating it at the “Longevity Month.” These campaigns have involved longevity activists in dozens of countries worldwide. The appeal argues for the need to organize joint international actions in support of longevity research, and provides some suggestions for activities that may be undertaken during the campaign by various groups of activists, either autonomously or in cooperation with each other. Such activities may include organizing meetings and producing dedicated on-line and printed publications. Though the text was intended to simulate participation in the “Longevity Day/Month” campaign, similar calls can be produced for other joint actions and campaigns, on other dates and occasions, both locally and internationally. The final fifth text is the law proposal suggesting the “Establishment of the National Advisory Committee for the Promotion of Longevity and Quality of Life for the Elderly Population” in Israel. The proposal argues that the stimulation of biomedical research of aging is a necessary condition for any potential attempt or program to address the problem of population aging. Therefore, it advocates that one of the primary functions of such a committee “for the Promotion of Longevity and Quality of Life for the Elderly Population” should be the development of incentives, strategic analysis and road-mapping, and the communication between governmental, scientific, industrial and public stakeholders, for the advancement of fundamental, translational and therapeutic biomedical research of aging. The short sections on the rationales and potential functions of such a committee are reproduced here (the administrative parts considering the possible committee operations are omitted). This proposal was submitted for consideration to members of the Israeli Parliament – the Knesset, and the text has been republished as an open petition. Since the proposal submission, the efforts have been ongoing to lobby Israeli decision makers about the importance of increasing financial and institutional support for biomedical research of aging to improve health and productivity not only of the elderly, but of the entire population.7 Hopefully, this advocacy action and outreach document will help inspire and develop other similar efforts in other countries and internationally. It must be noted that the above advocacy actions and appeals so far have produced little measurable effect in terms of actual increase of financial and institutional support for the field of aging research, or some tangible increase of professional and scientific effort in the field, or some concrete scientific or therapeutic outcomes. This may be due to their still limited scope and public involvement. Yet, it is hoped that these efforts have produced at least some minimal positive contribution for raising communal awareness about the critical importance of therapeutic biomedical research of aging for improving public health and longevity. It is hoped that thanks to such increased public awareness, there will be more civic demand for safe, effective and universally available anti-aging and life-extending therapies, which may in turn increase the actual scientific and technological offer. The results may not be seen at once, but many such small and persistent efforts may produce cumulative and ever-growing effects in time. Therefore, these documents are suggested for consideration, in the hope that they will help inspire and advance further advocacy actions. The readers are welcome to freely modify and circulate these texts, as they consider appropriate, or write advocacy outreach texts of their own, share them (or various modifications) in their social networks, forward such appeals to politicians, potential donors and media, organize discussion groups to debate the topics raised (that may later grow into grassroots longevity research and activism groups in different countries), translate such texts into native languages, reference and link to them, republish them in part or in full in available venues (such as blogs and social media, or print brochures and flyers), consult and join forces with many emerging and developing aging and longevity research and advocacy organizations. Finally, these texts and their translations and disseminations are the result of collaborative work of many longevity advocates and researchers from around the world. As there have been many contributors and promoters, the texts are presented here as anonymous, yet some special thanks are included in the notes. Many thanks to all longevity researchers and advocates for everything they do to achieve healthy longevity for all! The aging process is the root of most chronic diseases afflicting the world population. This process causes the largest proportion of disability and mortality, and needs to be treated accordingly. Society needs to dedicate efforts toward its treatment and correction, as for any other material disease. The problem of aging is grave and threatening. Yet, we often witness an almost complete oblivion to its reality and severity. There is a soothing tendency to ignore the future, to distract the mind from aging and death from aging, and even to present aging and death in a misleading, apologetic and utopian light. At the same time, there is an unfounded belief that aging is a completely unmanageable, inexorable process. This disregard of the problem and this unfounded sense of impotence do not contribute to the improvement of the well-being of the aged and their healthy longevity. There is a need to present the problem in its full severity and importance and to act for its solution or mitigation to the best of our ability. We call to raise the public awareness of the problem of aging in its full scope. We call the public to recognize this severe problem and dedicate efforts and resources – including economic, social-political, scientific, technological and media resources – to its maximal possible alleviation for the benefit of the aging population, for their healthy longevity. We promote the idea that mental and spiritual maturation and the increase in healthy longevity are not synonymous with aging and deterioration. Over the past decades, the average life expectancy has increased globally, reaching a worldwide average of about 70 years in 2014 (6 years longer than in 1990) and around 80 in the developed countries (compared to about 50 years in the developed countries in the early 20th century). In the Nordic countries – Finland, Sweden, Norway, Denmark, Iceland – the life expectancy is of the highest in the world, well over 80. Although the increasing life expectancy generally reflects positive human development, new challenges are arising. They stem from the fact that growing older is still inherently associated with biological and cognitive degeneration, although the severity and speed of cognitive decline, physical frailty and psychological impairment can vary between individuals. Degenerative aging processes are the major underlying cause for non-communicable diseases (NCDs), including cancer, ischemic heart disease, stroke, type 2 diabetes, Alzheimer’s disease, obstructive lung disease, and others. Aging also increases the risk of morbidity and mortality from infectious diseases like pneumonia and influenza. Moreover, the susceptibility to injury and trauma (such as falls and concussions), due to the impairment of balance and mental state, and even falling victim to violence, are strongly increased by the aging process. Also, the processes of aging exacerbate and reinforce the effects of other risk factors of non-communicable diseases (tobacco use, unhealthy diet, physical inactivity, and harmful use of alcohol). In sum, aging-related health decline is the main cause of mortality and morbidity worldwide and should be addressed according to the severity of the problem. Because of these severe and negative effects, aging is already regarded as one of the greatest economic and societal challenges that most countries – especially in the industrialized world – will face in the coming decades. They are already supported by scientific proofs of concept, involving the evidential increase in healthy lifespan in animal models and the emerging technological capabilities to intervene into fundamental aging processes. Any reinforcement in this research can produce cumulative effects and speed up the translation from basic studies to widely available therapies. They can provide solutions to a number of non-communicable, age-related diseases, insofar as such diseases are strongly determined by degenerative aging processes (such as chronic inflammation, cross-linkage of macromolecules, somatic mutations, loss of stem cell populations, and others). Moreover, they are likely to decrease susceptibility of the elderly also to communicable diseases due to improvements in immunity. The innovative, applied results of such research and development will lead to sustainable solutions for a large array of age-related medical and social challenges, that may be globally applicable. The most important of them are the savings in healthcare costs for aging-related diseases and increase in the period of productivity of older persons. These prospective effects make this research potentially the most profitable form of general and biomedical research. 1) Funding: Act to ensure a significant increase of governmental and non-governmental funding for goal-directed (translational) research in preventing the degenerative aging processes, and the associated chronic non-communicable diseases and disabilities, and for extending healthy and productive life, during the entire life course. 2) Incentives: Act to develop and adopt legal and regulatory frameworks that give incentives for goal-directed research and development designed to specifically address the development, registration, administration and accessibility of drugs, medical technologies and other therapies that will ameliorate the aging processes and associated diseases and extend healthy life. 3) Institutions: Act to establish and expand national and international coordination and consultation structures, programs and institutions to advance research, development and education on the biology of aging and associated diseases and the development of clinical guidelines to modulate the aging processes and associated aging-related diseases and to extend the healthy and productive lifespan for the population. These measures are designed to reduce the burden of the aging process on the economy and to alleviate the suffering of the aged and the grief of their loved ones. On the positive side, if granted sufficient support, these measures can increase the healthy life expectancy for the elderly, extend their period of productivity and their interaction with society, and enhance their sense of enjoyment, purpose, equality and valuation of life. Nordic countries – building on their proven achievements in increasing healthy life expectancy, their tremendous medical, scientific, social, economic and humanitarian capabilities – can play a prominent part in achieving these goals in the region and globally. We urge to use any occasion to raise the awareness of the issue and advance the goal of achieving healthy longevity for all through the support of biomedical science of aging. We write to draw the attention to the need for increased support for biological research of ageing and improving healthy longevity for the population in India. This subject is pressing and urgent for the global society, and for Indian society and economy in particular. Although it is a positive sign that the life expectancy is increasing around the globe, the rapid ageing of the world population could have grave consequences for the global society, in particular economy, which forces the society to seek solutions. On the other side, biomedical science and technology are developing rapidly as well, fostering our hope that medical and biotechnological solutions to ameliorate those problems may be found. These forces warrant increased interest and involvement in research of ageing and healthy longevity. This day is sometimes referred to in some parts of the longevity activists community as the “International Longevity Day.” As this is the official UN Day of Older Persons, this provides the longevity research activists a perfect opportunity, perhaps even a perfect “excuse,” to emphasize the importance of aging and longevity research for the development of effective health care for the elderly, in the wide public as well as among decision makers. The critical importance and the critical need to promote biological research of aging derives from the realization that tackling the degenerative processes and negative biological effects of human aging, at once and in an interrelated manner, can provide the best foundations to find holistic and effective ways for intervention and prevention against age-related ill health. Such an approach has been supported by scientific proofs of concept, involving the evidential increase in healthy lifespan in animal models and the emerging technological capabilities to intervene into fundamental aging processes. The focus on intervention into degenerative aging processes can provide solutions to a number of non-communicable, age-related diseases (such as cancer, heart disease, type 2 diabetes, chronic obstructive lung diseases and neurodegenerative diseases), insofar as such diseases are strongly determined by degenerative aging processes (such as chronic inflammation, cross-linkage of macromolecules, somatic mutations, loss of stem cell populations, and others). This approach is likely to decrease susceptibility of the elderly also to communicable, infectious diseases due to improvements in immunity. The innovative, applied results of such research and development will lead to sustainable, economically viable solutions for a large array of age-related medical and social challenges, that may be globally applicable. Furthermore, such research and development should be supported on ethical grounds, to provide equal health care chances for the elderly as for the young. Yet, clearly, such measures will take time and massive communal investment and effort. In contrast, the present appeal proposes an immediate and simple measure, which, however, can contribute to changing the public attitude to the problems of aging and longevity. We propose celebrating the International Longevity Day on or around October 1 – the International Day of Older Persons – to help change public attitude to healthy longevity from negative or indifferent to positive and proactive! The events and promotions can even be extended through the entire month of October that could be designated as the “Longevity Month.” This can provide the researchers and advocates an opportunity to raise these points and make these demands. Let us plan and organize a mutually reinforcing network of events worldwide. If you plan to organize an event for that day or month – either live meetings or on-line publications and promotions – please let your plans be known to encourage others. Together we can create an activism wave of strong impact. The longevity and quality of life of the elderly population are crucial national priorities, necessary for the normal functioning of the entire society. On the contrary, the deteriorative aging process is the root cause and main endangering factor for most chronic diseases afflicting the developed world generally and Israel in particular. The death rate in Israel is approximately 0.52%, out of which over 90% die as a result of age-related diseases due to the aging process. In other words, each year approximately 40,000 residents of Israel die from aging, twice the number of all the casualties of war throughout the country’s history, and twice the number of all deaths from traffic accidents throughout the country’s history. According to the report of the Bank of Israel, published in March 2012, both the private and public national expenditures on the senescent population in Israel (persons over 65 years old, comprising about 10% of the country’s population) is NIS 9.9 billion (~$ 2.5 billion) yearly, which comprises 1.2% of the entire Gross Domestic Product. Aging is a basic material process manifesting in the accumulation of damage, the gradual deregulation of metabolic balance, and impairment of normal functioning. This is a process causing the largest proportion of disability and mortality, and is the major endangering factor for most chronic diseases, such as cancer, heart disease, type 2 diabetes, dementia, and other diseases – and it should be treated accordingly. Yet, medical research in Israel and other developed countries focuses on the symptoms of the deteriorative aging process and not on its prevention or treatment. Despite their immediate importance, palliative measures, such as increasing nursing care, will not drastically improve the healthy longevity of the elderly, will not resolve the economic burden and human suffering caused by the process of aging, but will only slightly relieve and postpone them. In contrast, investments and efforts in the research and development directed toward prevention and treatment of the deteriorative aging process, if given sufficient support, may be able to bring about a substantial improvement. While the deteriorative aging process, that is the accumulation of structural damage, impairment of metabolic balance and functioning, is a disabling and debilitating process that requires prevention and treatment; the rise in healthy life-expectancy is its cure. In other words, the spiritual maturation during the years and the increase in healthy life expectancy are not and should not be synonymous with degeneration and deterioration. The trends of increasing healthy life-expectancy, as well as the results of basic research on aging, indicate the practical possibility of intervention into the aging process and the chronic diseases derived from it, and as a result demonstrate the practical possibility of healthy life extension for the elderly population. This positive process can be reinforced and accelerated for the long term by regulated support of basic and applied research, as well as technological, industrial and environmental development directed toward delaying and treatment of the deteriorative aging process and for improving the quantity and quality of life for the elderly population. These measures will reduce the burden of the aging process on Israeli economy and will alleviate the suffering of the aged and the grief of their close ones. On the positive side, if granted sufficient support, these measures can increase the healthy life expectancy for the elderly, extend their period of productivity and their contribution to the society, and enhance their sense of enjoyment, purpose and valuation of life. In view of this and in accordance to the Israeli Basic Law: Human Dignity and Liberty, and in accordance to the Jewish principle: “Do not reject a soul for another soul” – there is a need to give to the Promotion of Longevity and Quality of Life for the Elderly Population the necessary support that it deserves, and hence establish the National Advisory Committee for the Promotion of Longevity and Quality of Life for the Elderly Population in Israel. The committee will determine the policy for scientific research, technological development, public and academic education and institutional coordination for the improvement of longevity and quality of life for the elderly population, so it shall become the basis for the committee activity and the government activity in this area. In case the committee determines a policy on a subject within the area of its function, the head of the committee will submit it for the government approval upon a request by the committee. c) Acting for the establishment, development, management and maintenance of appropriate research and action frameworks, services and programs, for improving longevity and quality of life for the elderly population, in cooperation with relevant governmental departments. – Encouraging investments in biotechnology and medical technology companies, as well as in academic and public organizations for research, development and application – that will be involved in the prevention and treatment of the deterioration caused by the aging process and its derivative chronic diseases. d) Acting for the expansion of education and raising public awareness about the damage caused by the aging process, about potential ways to minimize this damage and scientific developments in the field. – Encouraging the collection of up-to-date, evidential scientific information regarding the optimal hygienic life-style for aging persons and providing education on the subject to the health care community and the wide public. e) Assisting governmental and local services in providing consultation and direction for the treatment of the aged in Israel. – Acting to improve the living conditions of the elderly, including the development of means of access and convenience in their daily life. – Acting to create and expand social, educational and occupational frameworks involving the aged and encouraging their integration with the entire population. Ilia Stambler, “International Longevity Alliance (ILA) – Annual Report for 2013 – Roadmap for 2014,” IEET, January 10, 2014, http://ieet.org/index.php/IEET/more/stambler20140110. Special thanks go to Dr. Miriam Leis for her contribution to the policy justification and Prof. Kunlin Jin for his leadership of the International Society on Aging and Disease. “The Critical Need to Promote Research of Aging and Aging-related Diseases to Improve Health and Longevity of the Elderly Population in Nordic Countries and Globally,” Longevity for All, May 19, 2016, http://www.longevityforall.org/nordic-longevity-outreach-english/. Special thanks go to Prof. Kalluri Subba Rao for inspiring and implementing this outreach effort, and Dr. Avi Roy and Dr. Miriam Leis for their contributions to the text of the petition. Special thanks go to Mr. Oded Carmeli for initiating the ideas of the demonstration for life extension and of the law proposal to establish the advisory committee to combat aging-related ill health and for healthy life extension in Israel.